Janani is a new student at Canyon Vista. She moved from California and loved living there. She loves playing sports. She plays volleyball and tennis. 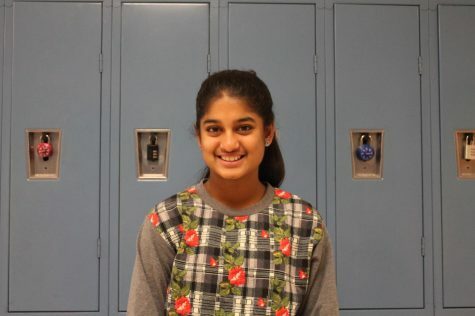 Janani was on the team for volleyball for all three years of middle school. She loves to come home and relax after a long and torturing day at school. Some of her hobbies include photography, sports, board games and making really bad jokes.